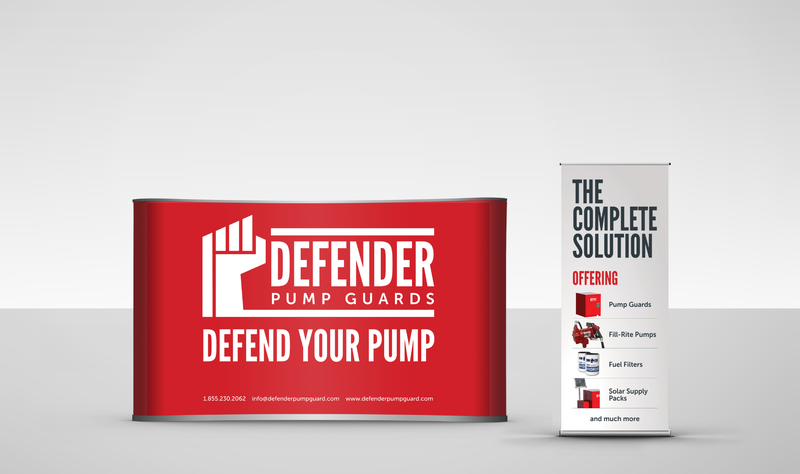 Defender Pump Guards is a product line that was created by a client of ours. They saw a need for farmers to protect their farm fuel from theft. It’s not uncommon for joyriders to sneak onto farm yards late at night and steal fuel from tanks that are located away from the house, behind outbuildings, or at times on fields. 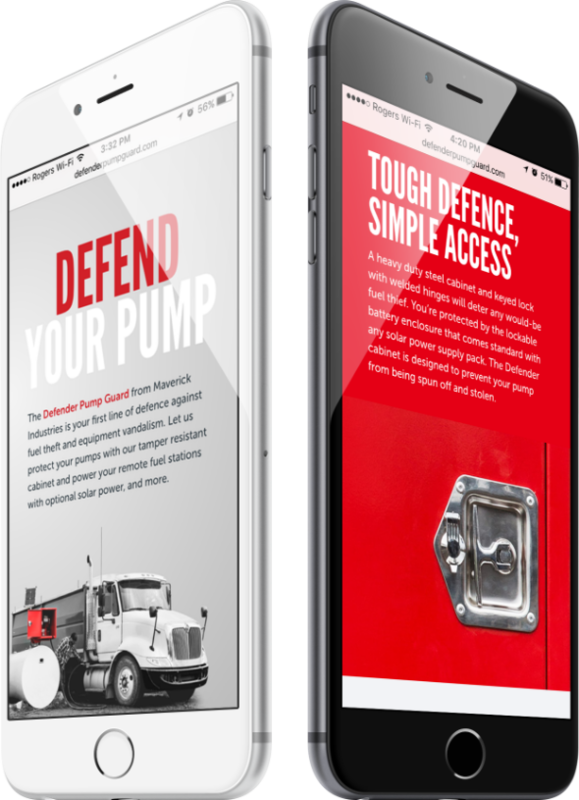 The goal was to create a brand image that conveyed a message of strength and protection. The red colour along with the clenched fist portray exactly that. 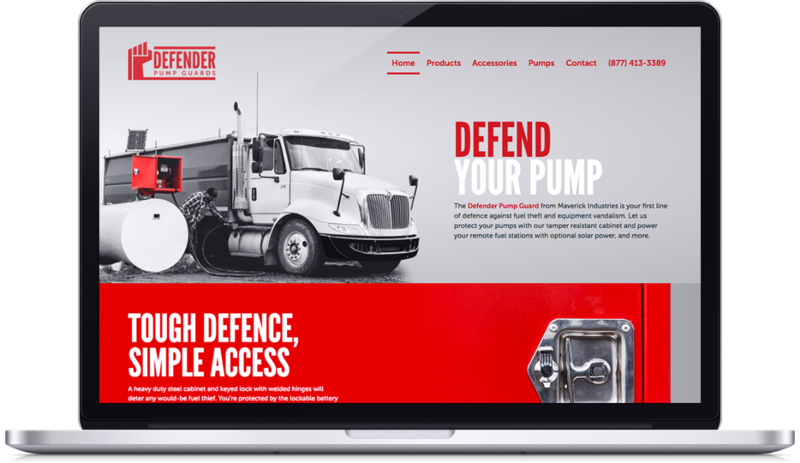 We developed a new visual identity system for Defender. Being a new business with a new concept, it was important that the website and print materials educate customers while being engaging and informative, yet not overbearing. The home page on the website leads with an image of the guard being used in a real life application.